Strange psychedelic rock music with folky-ethno leanings provides some nice dreamscape listening. Autosalvage is said to have been "discovered" in 1967 by Frank Zappa, who mentored the band and may have had some influence in the production of the band's only album. I spent many hours in the 1970s listening to this album. The unique sound transported me to a place that was long ago and in the present and future at the same time. I don't recall when I purchased it, but it may have been in the cut-out section of some record store. I had read about the album in Lillian Roxon's Rock Encyclopedia and had been anxious to find it. I was elated when I did and was not disappointed after I got it home to listen to it. Most of the cuts from the album can be found on YouTube and are worth exploring if you enjoy psychedelic music. The album holds up well for me, but it is definitely the sound of a great era in music. 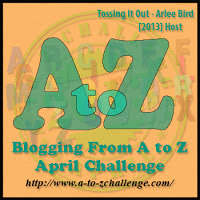 Great post Arlee, I love all music and will certainly look this one up when there is enough time in the day.........after the challenge. Though Psychedelic rock was not my brand of music, I appreciate that music gives expression to an era for each generation. I'll give it a try - I like a lot of psychedelic rock. Always great to discover new music (even if it's "old"). I have to admit I'm not a huge fan of the psychedelic rock style despite being a big Pink Floyd fan and I would certainly liken this song to "See Emily Play" so the sound is very distinctive of its time I think. Nice start to your challenge, I look forward to more. I'm a lover of all music. Psychedelic Rock, definitely a 'blast from the past'. New to me but thanks! 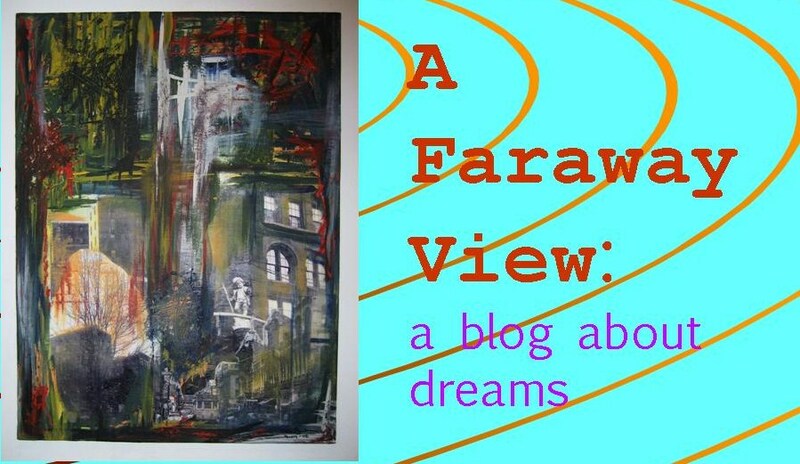 I blogged today about a dream, too! Psychedelic music still remains one of my favorite genres--it is so eclectic in sound and fascinating in subject matter. I've never heard of it. I spent the 70's listening to a lot of Queen. And the 80's listening to 70's rock. Can't say I particularly liked this one - a bit too "high-end" and jangly Byrds-like for my tastes - and yet again I think I can say there seems to be a bit of Traffic influence in there, but this time early Traffic, as opposed to later Traffic (like I thought I heard in Federal Duck). Anyway... anytime someone can come up with two bands from the Classic Rock Era that I haven't even heard of, that's someone with some deep Rock knowledge. I LOVE this song. I like listening to it when I'm driving. 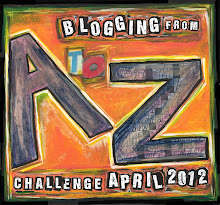 Great post and happy A-Z challenge! Definitely not anything I would have found on my own - thanks, its an interesting listen. Interested to see whats next. Psychedelic isn't exactly my favorite genre, but I love those album covers. To those who liked this I'm happy to have introduced what I think is pretty fascinating music. And to those who didn't care for it much listen to it a bunch more times and it will probably grow on you. something new for me - I'll be back. Great start to the A-Z! If you are in the procedure of looking for your next car acquire, consider verifying some of the cars in auto salvage gardens. This reminded me of the music I listened to when I was growing up, right at bedtime and through the night. I think because of that it has always been soothing to me. Great post! Interesting group - I love the name. I never knew of them until now. Paula -- When I read about the group in Roxon's Rock Encyclopedia I started keeping my eye out for the album since the description seemed to fit my taste--and it did. I was the lead guitar player in Autosalvage, and have mostly been a guitar maker ever since. We had good times, but were on the wrong coast. Rick --- It's a real honor to hear from you. I wish the Autosalvage legacy could have lasted longer, but at least you're there in rock history. It was one of the greatest times of musical innovation. I'd love to hear your comments or to just know that you were here. Please let me know what you think. And if you'd be so kind, please click on the Friend Connect button. It's nice to be joined on my dream journey with others who want to explore the mysterious world of the subconscious mind. Sorry, due to too much spam I no longer allow anonymous comments on this site. 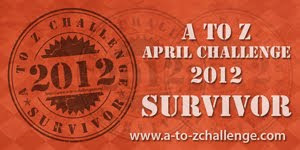 If you want to comment and aren't registered yet then please sign up. It's not all that difficult and I'd really like to hear what you have to say. Comment away! The header artwork on this blog is by versatile multi-media artist Ada Zdanowicz. 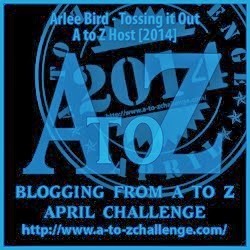 2014 A to Z Winner. Yes, I doing it again!